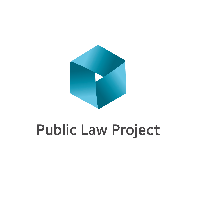 The Public Law Project (PLP) is an independent national legal charity which aims to improve public decision making and facilitate access to justice. Working to ensure fair and proper systems for the exercise of public powers and duties, whether by state or private actors. PLP’s lawyers provide advice and representation acting for disadvantaged individuals and interest groups via civil proceedings (chiefly judicial review), and also complaints and Ombudsman schemes. Our cases are often brought on public interest grounds. We have often made third party interventions in proceedings brought by others to raise matters of public interest, particularly in relation to questions of access to justice and costs (including costs protection). In addition to casework, we run a vibrant events and conferencing programme. PLP also undertakes and publishes empirical research, and engages constructively with policy issues impacting the public law/access to justice landscape. PLP received the Legal Aid Lawyer of the Year 2015 ‘Outstanding Achievement’ Award. We are also Halsbury Award Winners having received the Special ‘Rule of Law’ Award in 2013, and PLP is a Guardian Charity Awards 2012 Winner. We are accredited by Lexcel and are a London Legal Support Trust Centre of Excellence. PLP’s casework team is led by its Legal Director and Deputy Legal Director. The Legal Director, Alison Pickup, is an employed barrister and PLP’s Pupillage Training Principal. Alison was the LAPG Legal Aid Barrister of the Year and Chambers and Partners Public Law and Human Rights Junior of the Year in 2015. She conducts advocacy in her own cases at PLP and, where appropriate, for other members of the casework team, as well as conducting litigation and overseeing the casework team’s work. She also has responsibility for two of PLP’s casework projects, the Legal Aid Support Project and the Sanctioning Project. The Deputy Legal Director, Sara Lomri, is a solicitor and the SRA Training Principal. There are five other qualified solicitors in the casework team, and a trainee solicitor supervised by the Deputy Legal Director. PLP’s Director is also a solicitor although she does not actively conduct casework. The casework team is supported by a part-time casework administration assistant. PLP has a public law legal aid contract with the Legal Aid Agency which allows us to provide publicly funded advice and representation in public law proceedings. We also provide representation to individuals and charities in cases which advance our strategic objectives on a pro bono basis or under a conditional fee arrangement. The casework team also carries out projects which focus on specific systemic issues within our strategic objectives. PLP has a pending application to the Bar Standards Board for authorisation as a Pupillage Training Organisation.